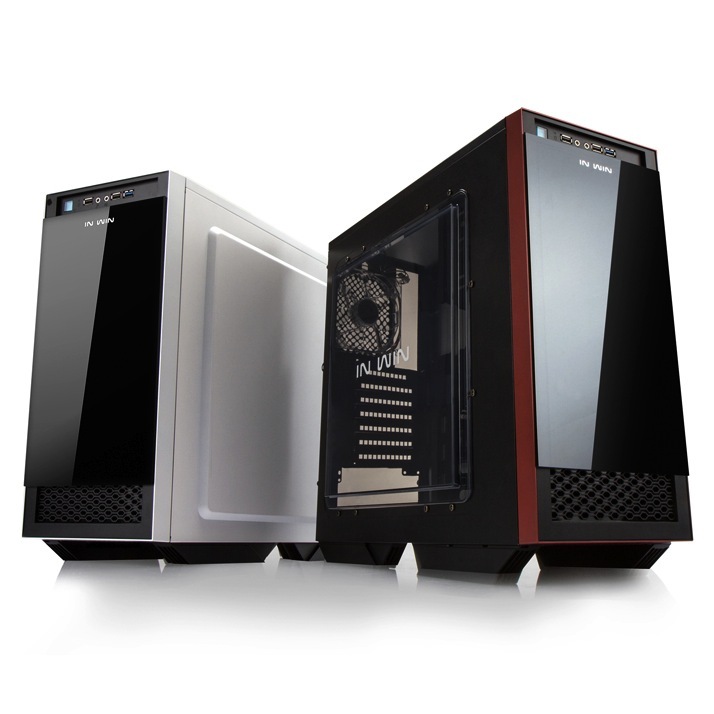 Announced last week, manufacturer InWin is coming out with a new chassis, the 503. The case a unique look with a sliding glass panel on the front, perfect for hiding the suddenly out-of-fashion 5.25″ drive bay. Color combos include red/black and white/black currently, no word on pricing yet. Pretty snazzy looking front with the glass, it’s a nice touch. It’s hard to look at the 503 and not see the clear trend towards the diminished role and appeal of a 5.25″ drive bay and it’s undeniable to see the design bleed from other cases such as the Tou and 900 series with the glass-accented front. You can check out the full product description here from InWin. I guess I’m gonna need a glass cutter now? I like the look, but the side window Is a little cheesy looking, but that would be easy to fix. I love IN WIN’s continued non traditional designs. It’s like they had 4 extra screws after they put it together and just stuck them on the window. All white would’ve been nice but that’s the only complaint for a cheap case like this. That and the horribly designed window. I didn’t notice that, They do have that window bolted down pretty good. The obsessive / compulsive part of me is offended by the uneven spacing of the screws, but that’s just me. I wonder if lighting could shine thru the glass? you might be able to get some cool lighting effects. Can’t say I’m wild about the window design either, but considering it’s screwed in (I hope those just aren’t for looks) it should be pretty easy to pop out the factory window and put a custom one in. That is a great question, how translucent is the front glass piece? Granted, the case looks nice and I like what they did with that front… thing.